This is Easy As ABC puzzle. Click on name for rules. As promised this is 2nd practice puzzle of the series. 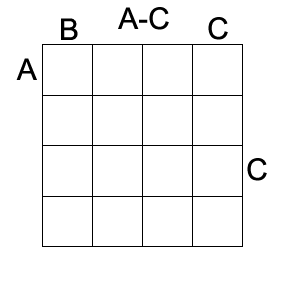 Click here to go to 1st practice puzzle. Unique Solution : Click here.